If you have a website that hasn’t been redesigned in five years or more, the chances are your website isn’t optimised for smartphones, but why is mobile-optimization a must for YOUR business? Check out these reasons why your website cannot afford to remain unresponsive for much longer! It was hard to imagine just a decade ago that the great majority of internet users would abandon their desktop computers and browse the web by other means, but today over a billion users are accessing the web from mobile devices! Mobile users have now surpassed desktop users, and are the chief viewers of the web. If you haven’t updated your design in years, the chances are you old website is being viewed from a device it was not designed for. Mobile numbers are only increasing as wireless gadgets become more and more popular with the general public. As older mobile phones get upgraded to smartphones and as the price of tablets tumbles down, more people than ever before will view the internet on smartphones and tablets rather than on a Desktop PC or Laptop. With the popularity and acceptance of digital payment systems such as PayPal, Google Wallet, and Square, shopping on mobile devices has become much easier to do and is now commonplace, now that more people are confident to shop on their smartphones, they are also likely to browse the web with their handhelds too, rather than just visiting Amazon! Your website may have been first viewed by a user on a desktop computer, but as already stated users now feel much more comfortable than before viewing websites on handhelds and are likely to return to your website on another device. So the second time a person returns to your website it very may be via a smartphone or tablet, if your website is not optimized the experience for the viewer may not as be as pleasurable as it first was. A responsive website makes mobile browsing much simpler for your audience. Mobile responsiveness of your website is more important than ever for pleasing Google and acquiring organic traffic, as Google favours mobile friendliness in its SERP rankings. To march up its search engine rankings, now more than ever should your website be mobile friendly. Most mobile internet access is used for social media, for sites such as Facebook and Twitter, and if you yourself engage in social media, it’s likely your website is linked to your social media profile and is prominent on your social media page. Engaging in social media increases the chances of your website being viewed on a smartphone. Despite the advantages already mentioned in this article a good proportion of small business websites aren’t yet optimised, which means if your website isn’t yet mobile friendly you have a great opportunity to differentiate yourself from the competition and stay ahead of the game. 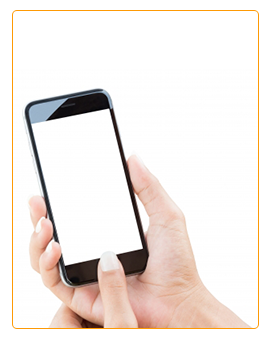 Optimized websites for mobile is an easy way to immediately gain an edge over competitors. Over time I’ve come across many people using simple passwords, either by using a family name in the password, the name of their pet or favourite sports team! Which can be very easy for determined crooks to hack. With cybercrime hitting the news again, here are some password tips to keep your accounts secure and safe, away from intruders and imposters. Never use the same password for your email account, online banking account, shopping account etc. Using the same password for everything is akin to using the same key to open your car, front door or shed, once a criminal has access to one, they have access to them all. It may be less convenient, but using multiple passwords will keep you securer. 2. 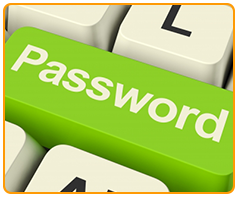 Include numbers, capital letters and symbols in your passwords. Now that we’ve addressed that you should use unique passwords for your different online accounts, use a long password made up of a mixture of numbers, letters and symbols each time you create a password. The longer the password, the better. Longer passwords are harder for thieves to crack. Avoid using publicly available information in your password, such as your phone number. It’s not very original, and easy for criminals to crack. Most browsers give you the option to save a password once you’ve created it, so you won’t have to always type it in when visiting a site, yet if you forget a password or get locked out, many services will send an email to you at your recovery email address if you need to reset your password, so always make sure your recovery email address is up-to-date and with an account that you can still access. If possible, add a phone number, so your password can be reset via a code sent to your mobile phone. Many services offer an option to verify your identity if someone logs on to your account from an unrecognized device by sending a text message for you to verify by phone, so adding your telephone number works great for back up and added security. You may also have the option of adding a secondary email account as back up too if you forget a password. 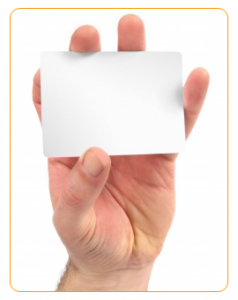 What for your business can be better and far more beneficial than a business card? I’ll give you a clue, it starts with the letter W, another clue, You’re looking at one! Though its obvious, it’s worth a look at the benefits, as there are still many small businesses without a website, or those who use it as just an after thought. But with the popularity of the internet, a company website is destination clients go to for all of these unanswered questions. With its local and global reach, unlimited content, interactivity (such as a contact form, or social media input), and unlimited choice of styles, websites can really tell your clients so much about your business, the scope is simply endless! They have been truly a major advance for companies since the birth of the internet. And so we come to the most important piece of information you should put on your business card – Your website address! Due to launch in summer 2014, the new shorter .UK domain extension will considerably transform the British namespace as we know it. As it stands, owners of .CO.UK domains will have first refusal to register the equivalent .UK domain names. Unique .UK domains will be offered on a first come first served basis. The plan will allow owners to buy a .UK web address to use instead of or in addition to CO.UK, ORG.UK and other alternatives. Nominet, the organisation responsible, had previously ditched the idea after acknowledging it would confuse people. But after making some changes and carrying out a second consultation it said it now planned to proceed. The decision will affect more than 10 million customers who currently use domains ending in .UK when it begins in the middle of 2014. Will the new .UK domain extension baffle and astound internet users or will it come as a blessing? Only time will tell but I plan to buy one, but what happens if Scotland gains independence next year too! 10 years on and 53 people strong, Tsohost now host over a staggering 230,000 websites for over 50,000 clients in over 100 countries. Their services have been used to launch start-ups, create blogs, support international growth and house online communities. To see how Tsohost has grown and developed over the past 10 years check out this link: 10 Years Of Tsohost Timeline. And to read more of their 10th birthday feel free to visit their blog post concerning their anniversary. 1. 10 year’s in business and still going strong. 2. 24/7 UK based customer support. 3. 60 days money back guarantee. 4. The latest technology and premium hardware. Due to code changes with the Firefox browser, some may notice that text on websites is blown up and much larger than before, and also favicons and graphics seem blurry. The code changes are for HiDPI support for high resolution display but many users have complained that alot websites text look much too big with the latest update, causing a horizontal sidebar on most websites. 1. 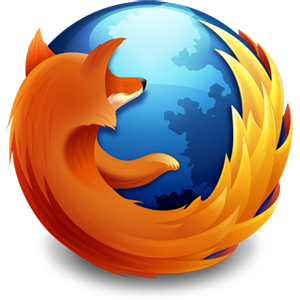 In the location bar of your Firefox browser type about:config and press enter. 2. You’ll get a warning come up, click it and proceed to the next screen. Recently a great deal of people have asked who JCM Design host their websites with, when dealing with clients in Plymouth who require web hosting for their newly designed web site I almost always recommend Tsohost to them, with its great prices and support I know they’re in safe hands. And sharing with them a Tsohost promotional code, I save them money off their purchase too! Tsohost were founded in 2003 as a provider of reliable and affordable internet services consisting of Cloud Web Hosting, Dedicated Hosting and Domain Registration. With its enthusiastic team and strong management the company has gone from strength to strength over the years enjoying strong organic growth. Through this and our acquisition of other companies Tsohost host in excess of 150,000 websites across their cloud and dedicated hosting platforms on their UK servers. Tsohost offer more than just reliable web hosting, but top notch support, the best telephone support I have encountered over many years of using various web hosts. Sure, some hosts out there are cheaper but the ones I’ve encountered have had support severely lacking, or worse still no telephone support at all. When using their UK freephone telephone number they’ve always responded fairly quickly and more importantly resolved any issues I had promptly and professionally. They’ve always been thus far helpful, polite and easy to understand. To me genuine support is of the utmost importance, because you never know when an issue may crop up but having good support to help you out saves a great deal of time and worry! For 10% off any hosting package simply enter the promotional code JCMDESIGN at checkout. It’s valid only on your first order, so save more by ordering annually rather than monthly. Whilst designing websites for clients in Plymouth, clients have occasionally asked for help when choosing a domain name for their new website, so below are a few tips that may aid you in your search for a suitable domain name. 1. Use The Same Name As Your Website. This may seem obvious but there are plenty of sites out there with domain names totally unrelated to their websites. If for example johnwiggins.com lead to a website called JW Care And Cleaning Services, people would have a hard time remembering the domain name and it would look unprofessional. Naming a website the same as its domain name is essential, for the simple reason that when the target audience think of your website, they’ll think of it by name, if they haven’t bookmarked or added your site to favourites, they’ll find your website easily by knowing its name. The shorter your domain name is, the easier it is for your visitors to remember, to type and to tell others about. For example if your business is called JW Care And Cleaning Services, try shortening the domain name to jwcleaning or jwservices, which makes it easier for people to remember, easier to type and less susceptible to mistakes. Hyphenated names can be easier on the eye, such as jw-services instead of jwservices, but often people forget to add hyphens when typing your domain name and also whenever your site is verbally recommended (such as over the phone) the hyphens may be left out altogether leading the recommendation to the wrong site. If however the non-hyphenated form of your wanted domain name is no longer available, it would be worth getting the hyphenated version but be aware of the mistakes that can arise. According to figures from Pingdom (pingdom.com) there are around half a billion host names accounted for. However, only around 30% are currently active with .com being number one. The vast number of domain names in existence, active or inactive, indicates exactly how difficult getting a desired domain is. .com is still the preferred choice, the number is still on the rise with over 11 million being registered between the end of 2011 and 2012. Its staggering to think there are over 100 million .com domain names in existence. They are still on the rise and businesses look to .com as the first choice when choosing a domain name. .net is also a popular global alternative to .com, with currently 14 million sites registered, but my advice if choosing .net or a domain similar, is to have your full domain name printed on your websites and business cards to avoid users mistakenly going to a .com domain.